The thing about a summer house is that you can have a bit of fun in your decorating-things can be more whimsical. I looked at a lot of tiles trying to figure out my backsplash.I really wanted to have something that I hadn’t seen before. All of a sudden I realized that I have always loved the way Jane Leist in our community drew fish-she would sell her watercolor sketches during the summer to make some spending money for college. 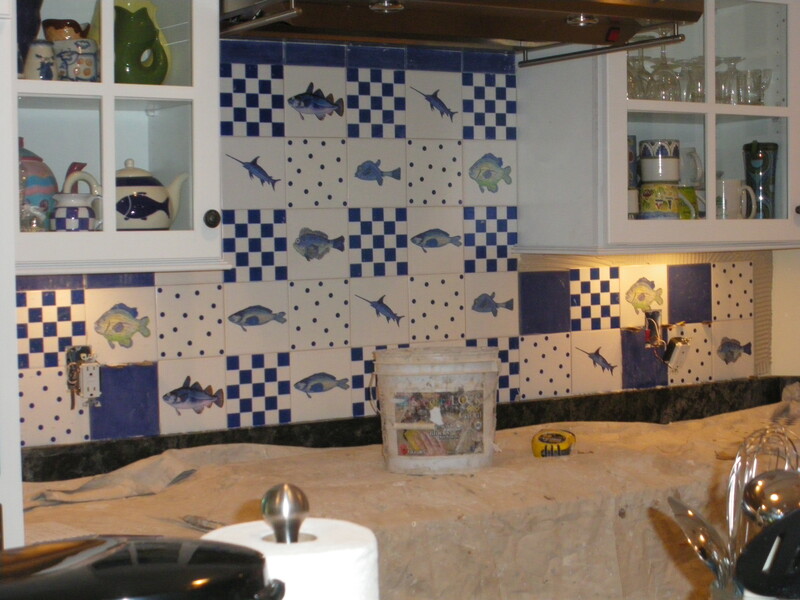 I asked Jane if she could draw some fish,using my color palette,and then have someone transfer her prints on to tile. She found someone in NYC to do this,as well as the ones with the checkerboard and the polka dots. We took that idea from a cookie jar that I have! 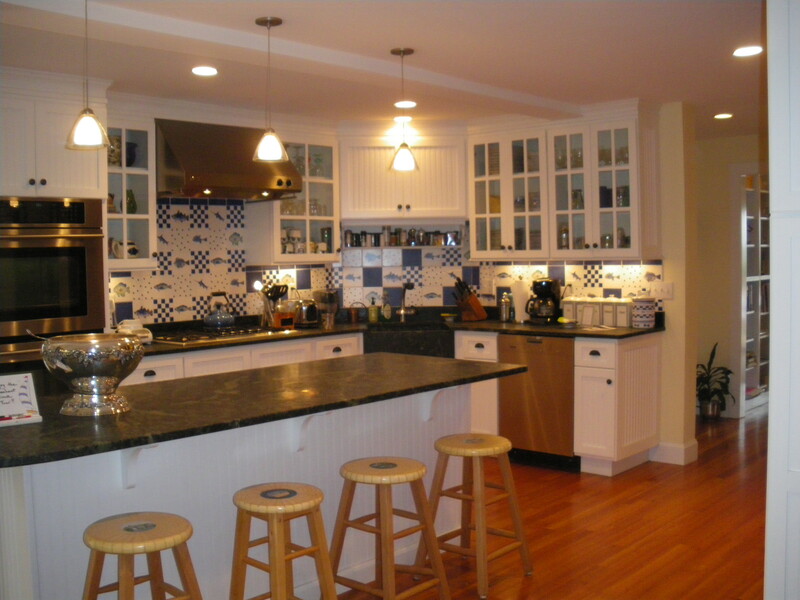 This entry was posted in kitchens, summer/beach houses and tagged Falmouth, Home Improvement, Interior Decor, Interior Design, Summer house. Bookmark the permalink. Hi Lauren! It looks great! Didn’t know you were on wordpress also. Love that you involved a local artist. I’m sure she was delighted.